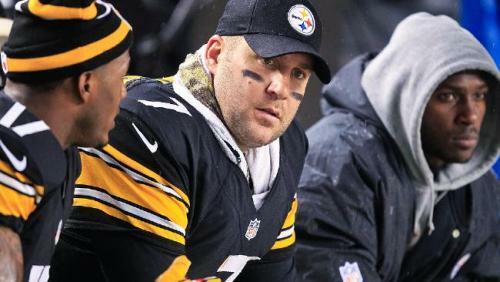 No team in 2012 has been involved in more close games than the Pittsburgh Steelers. Outside of soundly beating the Jets and Redskins and losing badly to San Diego, the Steelers have played a dozen close games that were decided by the slimmest of margins. Pittsburgh scored the game-winning points in the fourth quarter or overtime of five games, but had seven losses in the same situations. Realistically, the Steelers could be anywhere from 2-13 to 14-1 right now. Instead they are 7-8, and a failure to close out more of these close games was the culprit. But it was a season of the Steelers unable to finish as a team. Pittsburgh peaked in Weeks 7-9 when they beat Cincinnati, Washington and the Giants. Even in those games, they had to come back from a double-digit deficit twice, but at least they came through, and that was the only time the running game was working. The season almost has taken on two halves, as it was more about the defensive failures early in the season. The defense surrendered a fourth-quarter lead in four of the first five games this season. But then the defense improved in the second half while the offense really struggled to close games out. 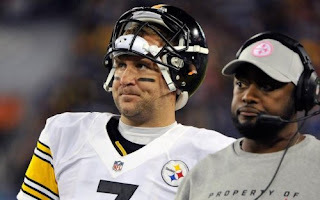 The offense even had a chance to win a game late in all three starts Ben Roethlisberger missed, but they could not come through with Byron Leftwich against Baltimore, or Charlie Batch in Cleveland. Batch however did get the job done in Baltimore, which is Pittsburgh’s only win in their last six games. Roethlisberger actually could have won the league’s MVP award with better play in crunch time. The offense’s inept play without him would have been the additional argument he needed to build his case, because he had the stats. He just had an unusually high number of failures in the clutch. Though Roethlisberger may finish 2012 with just eight interceptions, many will define his season by the four big ones he had. The offense and defense just could not get on the same page this year, and even the special teams had their struggles, like Brown coughing up the ball on a punt return in Dallas in a similar situation when the Steelers could have gone up two scores. But what might be most unacceptable is how the offense crumbled when they were so close to winning several of these games. We are talking about when one more completion likely would have did the job to run out the clock, and have Suisham come out for the game-winning field goal. Whether it is better execution or getting better calls by the coaches, they have to find a way to make the plays that win close games. Say it ain't so, Ben! Tell us you can still get the Pittbsurgh Steelers into the playoffs. Tell us the team is over self destructing and ready to play Steelers football. Tell us why the Steelers have played down to there competition and lose to teams they should beat. Can someone tell us why some of the coaches decisions have turned a great team into a mediocre one. The Pittsburgh Steelers would be tied with the Baltimore Ravens for the AFC North Division lead they had won over a bad San Diego Chargers team and a Dallas Cowboys team the Steelers decided not to beat. Even with these two debacle behind them, they still have a chance to save their season. If Pittsburgh can beat the Cincinnati Bengals and the Cleveland Browns, they should secure the last AFC wild-card spot. The Steelers are 7-7 and a better team than their record. Four out of their seven losses this year have been by three points. That's how close they were to an 11-3 record even with all the injuries. Missed opportunities and mistakes almost kept a good football team on the outside looking in. Now is the time to go into the playoffs on a roll. If they can win these last two games, they have a chance to go all the way. They did it once before, they can do it again. After the Pittsburgh Steelers so called dinosaur quarterback, Charlie Batch out-played Joe Flacco and defeated the Baltimore Ravens 23-20, Ben Roethlisberger is slated to return Sunday against the San Diego Chargers.Ben is returning to action after missing the last three games with a shoulder injury. Roethlisberger practiced for the second straight day on Thursday, and Coach Mike Tomlin was comfortable enough with what he saw to say Roethlisberger will start this week.“He has been above the line in all areas,” said Tomlin following Thursday’s practice. “Really, the only question we can’t answer is taking a hit. Obviously that will be answered in the stadium on Sunday. The Baltimore Ravens will play the Washington Redskins and RG3. The Ravens will welcome the return of Ray Lewis on defense. The Baltimore offense struggled against the Steelers last week. Find Pittsburgh Steelers fan clubs.